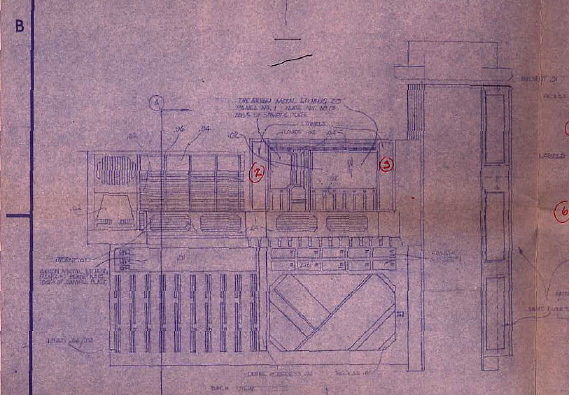 This is an original blueprint for the Death Compactor playset that was part of Kenner's Micro Collection line. It shows line-art images of the playset from several different angles, gives measurments and lists action features which the playset was designed to incorporate. Here's a side view of the set. 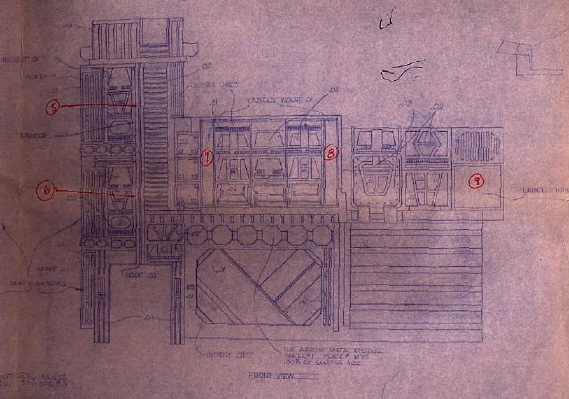 Note some hand written markings on the blueprint and the intricate detail in the drawing illustrating all the features of the hatches and doorways. The handwritten numbers note the placement of labels on the plastic playset. This is the view from the other side of the playset showing much of the detail from the previous drawing except from a different perspective. This image shows the area where Ben Kenobi and Darth Vader have their final duel. 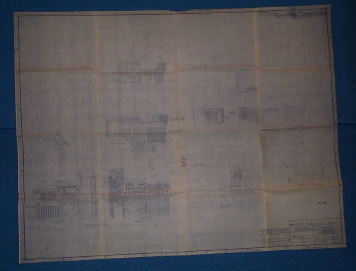 This blueprint was used for preliminary design and is likely to be different from the final playset in a number of ways since it was not used directly for tooling. This is a nice closeup view of the trash compactor and door. The label on the bottom reads "COMPACTOR DETAIL". The door features the same complex design as in the film. 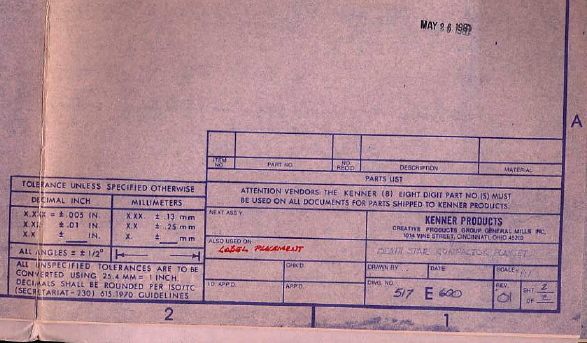 Here is the blueprint label. The name of the playset is clearly visible "DEATH STAR COMPACTOR PLAYSET". The box also notes that this blueprint was used to guide label placement instead of tooling. The date stamp reads "May 26, 1980".